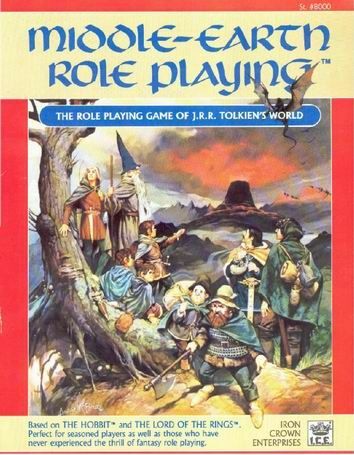 This was one of the few RPGs that my parents allowed me to own, because it wasn't D&D and it wasn't "satanic"... instead it was more obviously based on the works of Tolkien (and my dad was a huge Tolkien fan at the time). This game acted as a bit of a gateway drug into Rolemaster for our group of friends at high school, and this showed how baroque and complex a system could be. 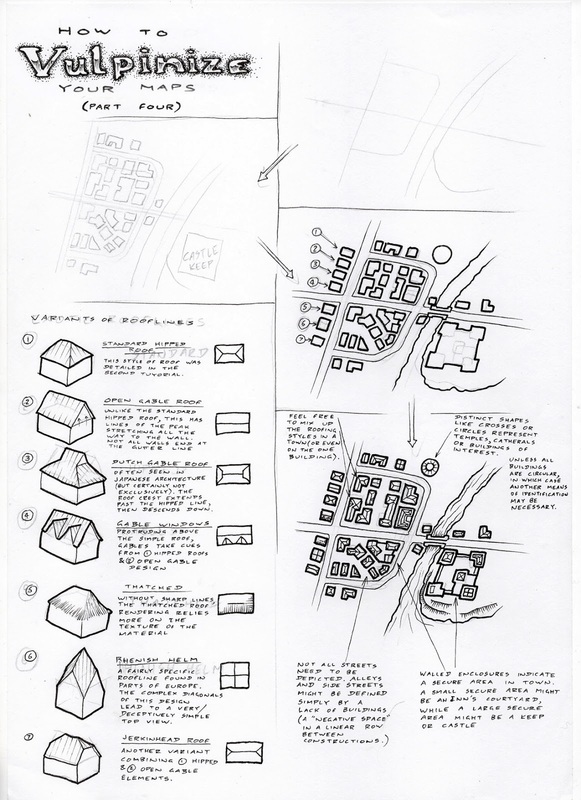 I ended up being inspired by it mostly as a system benchmark to avoid in it's level of complexity. 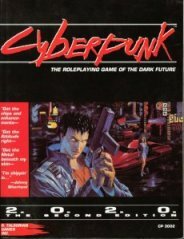 My copies of Cyberpunk 2020 were saved from a friend's parents as many of his other roleplaying materials were consigned to an incinerator. Besides the social and historical significance that these books have to my life, I'm also strongly influenced by the lifepath generation system which is something I've strived to replicate a number of times in my own designs. Even though the game setting has aged with some curious parallels to our reality, and a number of divergences, I still love going through the lists of equipment, and considering what could have been. It has aged gracefully into a curious form of cyber retro futurism. The idea of a game where players could use their own understanding of the real world to support their stories was a clever idea that I hadn't really seen previously. 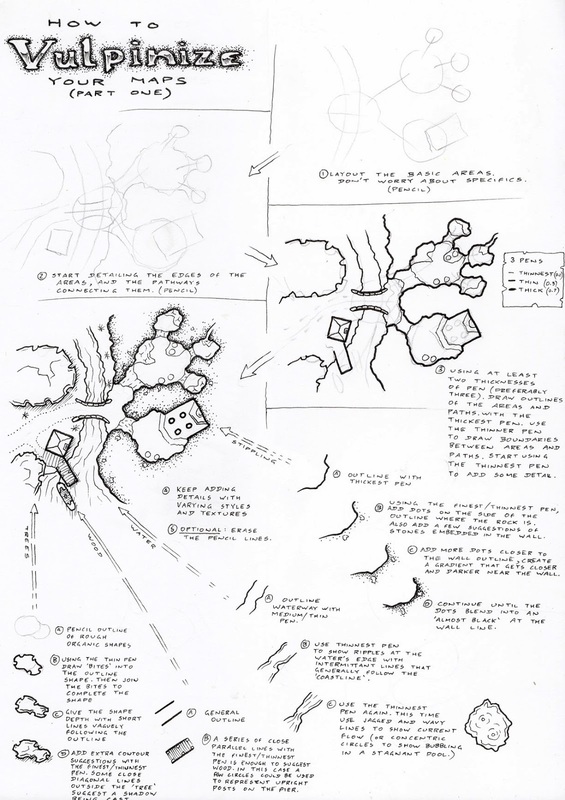 So too was the idea that you could run and entire game system based on a narrow subset of monsters. I remember people saying that they couldn't handle the concept of Werewolf because they might have wanted to play something that wasn't necessarily a lycanthrope. Then came Mage, and that just blew us all apart with it paradigm shattering ideas that literally anything was possible. That's the lightning in a bottle that I've been trying to recapture for 25+ years. Such a beautiful and rich setting, but dark, dreary, it feels more like a dark ages game that anything else I've played. It was an awakening to see a game where you didn't play heroes, but instead played the lowest rungs of society, just trying to make ends meet, and maybe rise about the detritus of the grimy old empire rather than being slain horribly by things that no-one will talk about. I've revisited the system a few times over the years, and the career progression system is such a beautifully constructed thing. I can't really say all of AD&D here, but there are a number of settings that gave a distinct feel to the standard D&D set up. 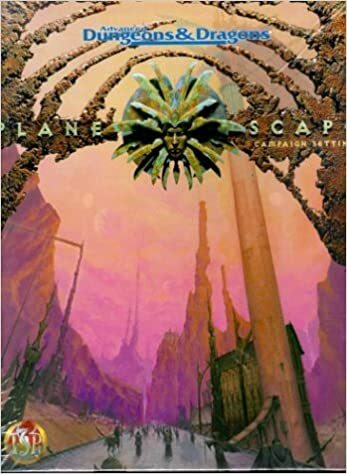 Dark Sun was the first of those settings to draw my interest, but I could never get anyone else interested in it at the time... it was only with the release of Planescape that I had friends who were willing to explore politics in a fantasy game. The way that this setting added so much depth and nuance to the metagame was incredible, the artwork by DiTerlizzi was also evocative, and something different to everything else on the market at the time. This is probably an odd one to be throwing onto the list, but it was specifically written as a one-on-one interpretation of the Tri-Stat/BESM engine. 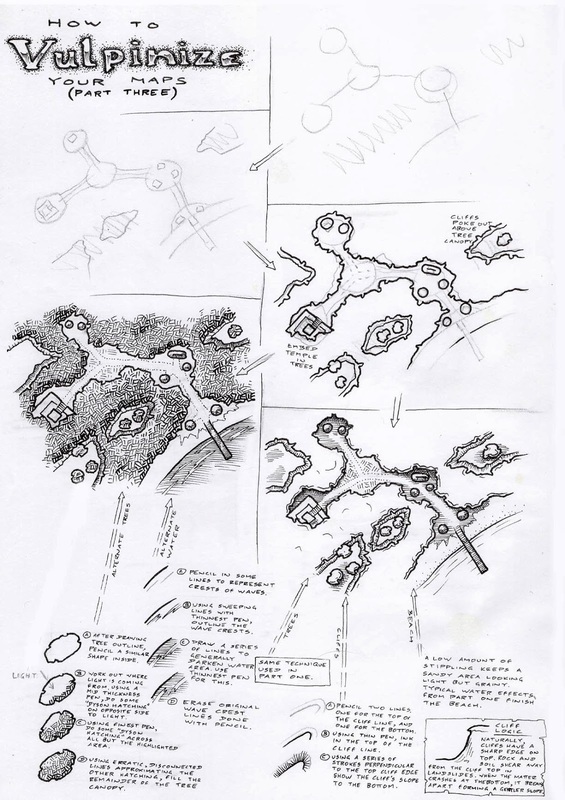 The idea of a game specifically written for one player and one GM was an intriguing concept, and while I've never found the one player who'd want to play it for me (or run it for me), it's filled with ideas that I've tried to port into my other projects over the years. The fact that I love the movie probably helps too. A game with 2 stats and an array of weapons. This was one of the first sets of rules where it really clicked for me how a simple rule set could really reflect a specific genre of play. It did one thing, but it did that one thing phenomenally well. 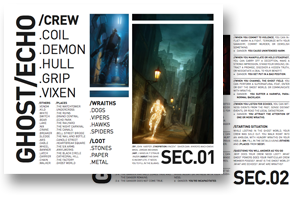 The fact that it had a few subversive twists hidden within it's rules just boosted the influence it's had on my as a player, GM, and designer. This is one of those games that I didn't think much of until I played it. It is written in the form of an in-world artefact, and the game play is very ritualised, but like 3:16 it does one thing and it does that one thing really well. 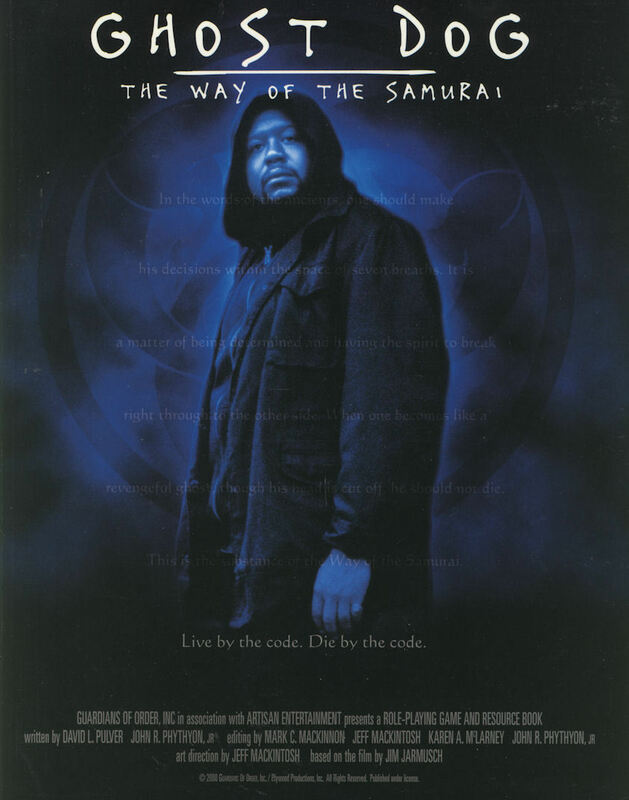 I've adapted this game so many times over the last few years, using it as a character generation system to develop backstories, and using it to weave communal narratives that help to establish a world. Another micro game, Ghost/Echo was a huge influence on my own game FUBAR, which has in turn been the basis of much of my design work over the past few years. This is a hint of a game, it provides the basics but expects a lot more to be brought to the table by it's players. It's one of those games that opened my awareness to a new style of collaborative play. Teenage Mutant Ninja Turtles and Other Strangeness.